I’m Dave Di Ubaldo. A freelance photographer based in the Rockies and serving all of Canada. 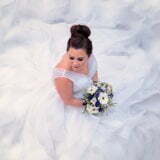 I work as a Wedding Photographer primarily in Calgary, Alberta and Banff National Park. I also do landscape photography and offer prints & Banff Landscape Photography Tours. Check out some of my most recent adventures and projects here. I get to meet amazing couples in love, travel to incredible landscapes, and shoot weddings with my fiance all over the country. Thanks for stopping by to check out Worn Leather Media! A few easy steps will have us sitting down over a pint or a cup of tea. Fill out the contact form to get started, check out our work, or scroll down for more info! Dave and Natalie are the NICEST and most amazing people ever first off. Everybody wanted to be best friends with them by the end of the night (including us!) They felt like family. Secondly, their eye for special moments is second to none! They not only captured the obvious moments but also times throughout the day and night that I wouldn't have even thought to photograph. They really captured the essence of who we are as a couple and there is not one bad photo that we received. We loved them ALL! They are the best, I can't say that enough! and I would would recommend them to everyone for ANY of their photography needs/visions. There are absolutely no words that can accurately describe how GRATEFUL I am to Dave and Natalie. Not only did they manage to burst through the awkward "I hate photos" exterior of my now husband on our wedding day, but they went above and beyond to ensure we had the most perfect day. I've never felt more like a princess than I did at our wedding and that is in large part thanks to these two. They are so wonderful to work with! I could not have asked for a better team to capture the best day of my life (so far) and I absolutely cannot recommend them highly enough. I honestly feel like we added two more family members at our wedding and I am so blessed that they were there. 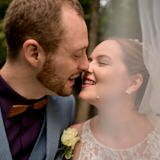 Dave's photos of my wedding were absolutely fantastic! My husband and I had such a fun time working with Dave and Natalie at all our wedding events - from a small legal ceremony to a big party, all the way to a destination photoshoot in the mountains. The photo quality and the pricing beats all competition! We received our photos back in record time (I think it was even less than a month), and Dave was nothing but professional throughout the entire process. My husband and I live in the UK and only met Dave and Natalie the day of our legal wedding (since we flew in right before) but they put us at ease immediately and captured wonderful photos. My husband and I couldn't imagine a better experience and heartily recommend Dave and Worn Leather Media! My husband and I got married this year and we had chosen Worn Leather Media for our photographers after they captured our proposal so perfectly. We were so happy to have Dave and Natalie there for our special day - they were incredible! They are really easy to work with, professional, and a lot of fun making the day that much more special. Our photos turned out absolutely perfect and they provided them so quickly after the wedding. Their capturing of candid photos really brought to life our special day so we can relive it each time we look through them. Thank you Worn Leather Media! We would definitely recommend. David is a miracle photographer. I’m not a fan of my own pictures nor do I like having them taken. I can’t express in words how relaxed I was during our engagement shoot, and how he understood I wasn’t interested in a long drawn out shoot. David was awesome and All of the photos he took are amazing! There isn’t enough exclamation marks to express my gratitude. The hardest part now is actually choosing which ones I want. I can't say enough great things about Worn Leather Media, they are so friendly and professional and they produce magic! Really fast turnaround and extremely discrete, we didn't even notice them capturing our wedding and we got amazing pictures! What can i say about dave... Lol. We absolutely loved working with him 🙂 we had our wedding photos taken yesterday and we had a blast. Dave is sooo fun to work with made me my husband and our wedding party feel so comfortable and at ease the whole time. We could actually be are crazy selves haha and he just rolled with it. He was able to capture a great picture of me and my son that i had ask him to try and get.. Will definitely recommend him to everyone and will use him again for family and adventure photos. Nothing but praise from us. My fiance Fay and I are a Calgary Wedding Photography duo. We live together downtown with our two cats, and are always busy planning our next adventure! We’re a pair of laid back music fans who enjoy hiking in the mountains just as much as indulging in Sunday Fundays on the patio. Exploring unique photo locations in Banff National Park is one of our favourite pastimes! We believe that honest emotions and real interactions are more important than posed masterpieces. So as to properly capture those emotions, our first focus is that you are comfortable. Let us worry about how everything looks, so you can focus on enjoying your beautiful day! As your wedding unfolds we focus on the little moments. Capturing candid emotions and interactions with a photojournalistic approach. During portrait sessions, we work to capture the spark between our couples. Showcased against the iconic backdrops our beautiful Province has to offer, we create timeless images. Filled with naturally vibrant colours and emotions, just as you remember them. These are memories that you will cherish for the rest of your lives together. We know first-hand that the wedding planning process can be as exciting as it can be stressful. We understand what you’re going through, and are happy to help you get to the light at the end of the wedding planning tunnel. I make myself available to my couples to answer whatever questions you might have throughout your entire planning process. Photography related or not.